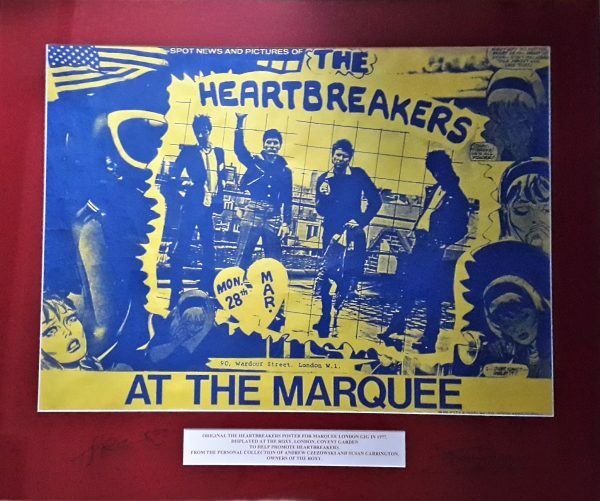 framed with 99% UV glass, keep out of direct sunlight as this is an original 1977 POSTER and could fade. 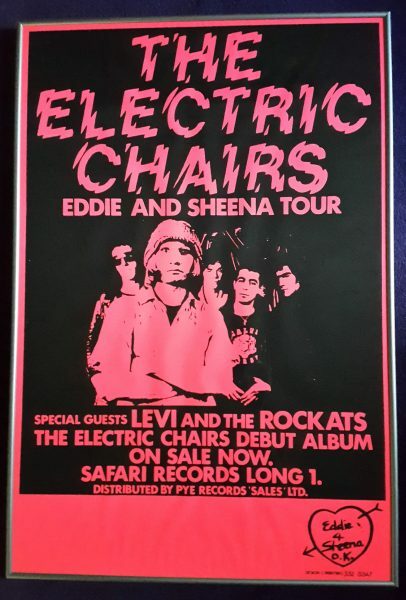 An Original 1977 poster for The Electric Chairs and Wayne County tour and record poster for the ‘Eddie and Sheena Tour’ with special guests LEVI and the ROCKATS. 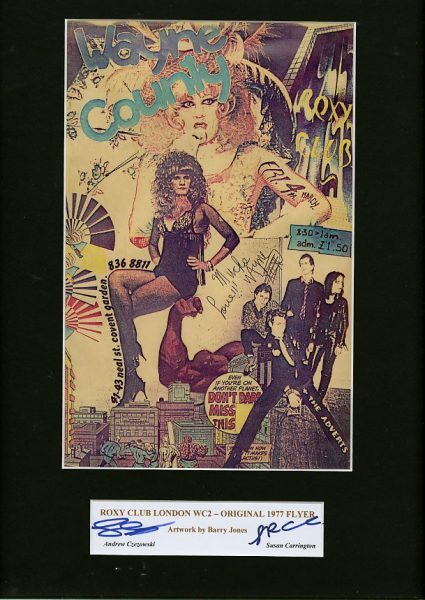 From Andrew Czezowski’s personal collection signed and Authenticated framed with 99% UV glass, keep out of direct sunlight as this is an original 1977 poster print and could fade. 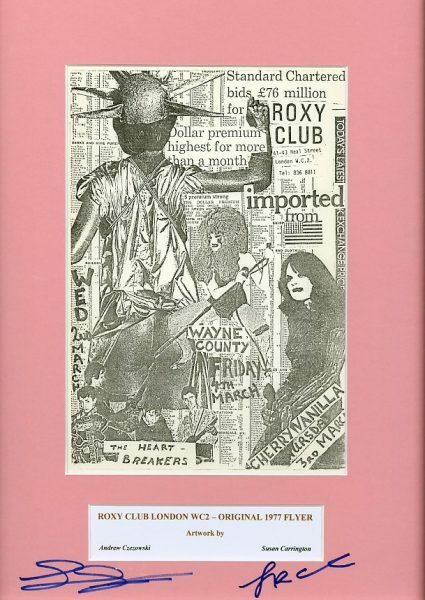 Original photo copy flyer, authenticated and signed by Andrew Czezowski and Susan Carrington, framed with 99 % UV glass, keep out of direct sunlight as these are original 1977 electrostatic copies and could fade. 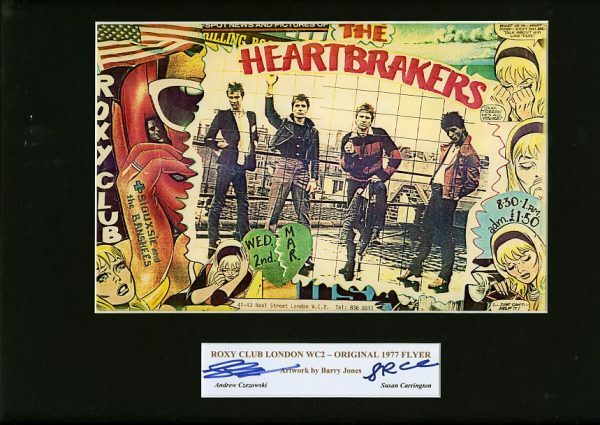 Original photo copy flyer, authenticated and signed by Andrew Czezowski and Susan Carrington, framed with 99% UV glass, keep out of direct sunlight as these are original 1977 electrostatic copies and could fade. 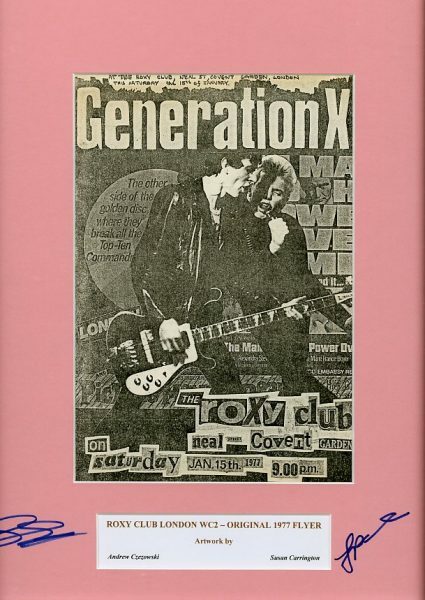 Original coloured photo copy flyer, authenticated and signed by Andrew Czezowski and Susan Carrington, framed with 99% UV glass, keep out of direct sunlight as these are original 1977 electrostatic copies and could fade. Original colour photo copy flyer, authenticated and signed by Andrew Czezowski and Susan Carrington, framed with 99 % UV glass, keep out of direct sunlight as these are original 1977 electrostatic copies and could fade. ‘It’s a rarely detailed account, proper eye witness gold.’ KRIS NEEDS, journalist, author, biographer. 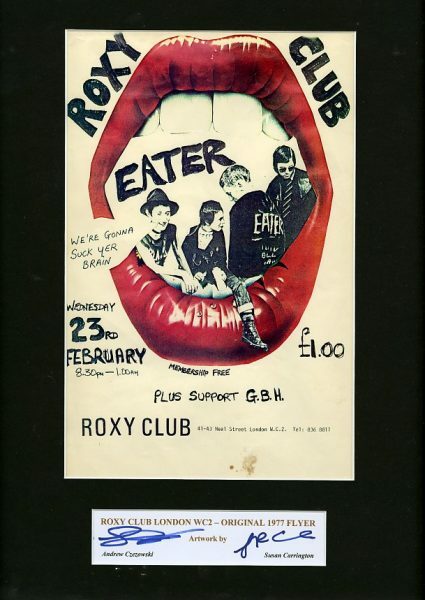 It tells the fascinating story of the radical, anarchic ‘ROXY CLUB’ in 1977’s Covent Garden, London. 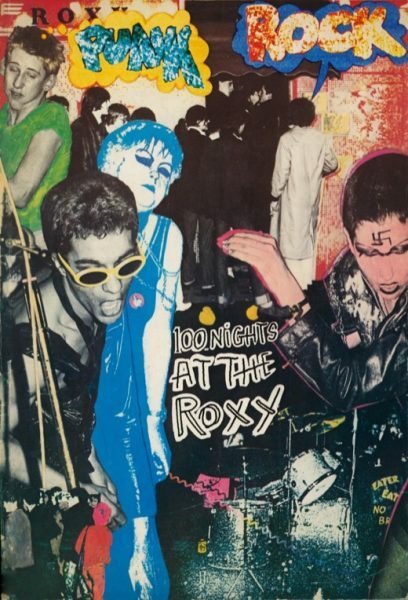 The ROXY Club’s sounds, style and ideas still reverberate through alternative culture to this day. 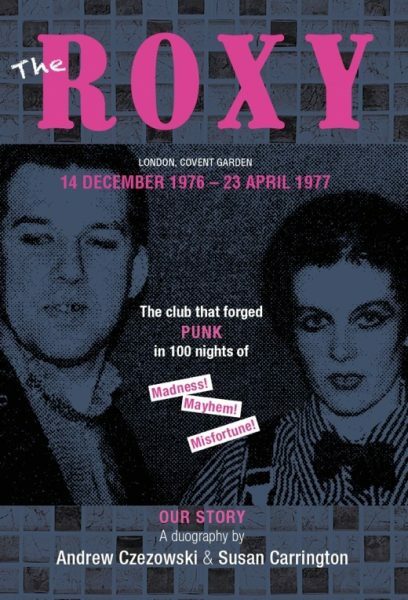 A Photographic Explosion from the ROXY club that changed the face of music PUNK ROCK Features Photos of The Clash, The Heartbreakers, The Police, The Damned, Siouxsie & the Banshees, Generation X, The Buzzcocks, X-Ray Spex, The Vibrators, The Rejects, The Stranglers, The Slits, Johnny Moped and many extreme dressers of PUNK styles.